Soda may be a tasty treat, but many people never think about how damaging that sweet, bubbly beverage can be to the human body. By conducting a science fair project that examines the effects of soda on tooth enamel, students can help make their peers more aware of just what soda is capable of doing. The basic requirements of this project make it best suited for middle school and high school students with access to simple chemistry supplies. Gather supplies and select multiple brands of soda, both diet and regular, to use in the experiment. Pour 365 milileters of each soda into a labeled cup using a graduated cylinder for the measurements. Take photos of the experiment throughout your work for your presentation board. Dip a strip of litmus paper into each type of soda to test the pH. Write down the pH of each soda, which will most likely be acidic, and write the pH of each soda on the cup's label. Place a coffee filter on the scale and measure out 40 grams of granulated limestone into the filter. Measure out a coffee filter of limestone for each cup of soda that will be tested. Place a coffee filter with the measured limestone in each cup of soda. Leave the filter inside of the cup for 24 hours to allow the soda to soak into the limestone. 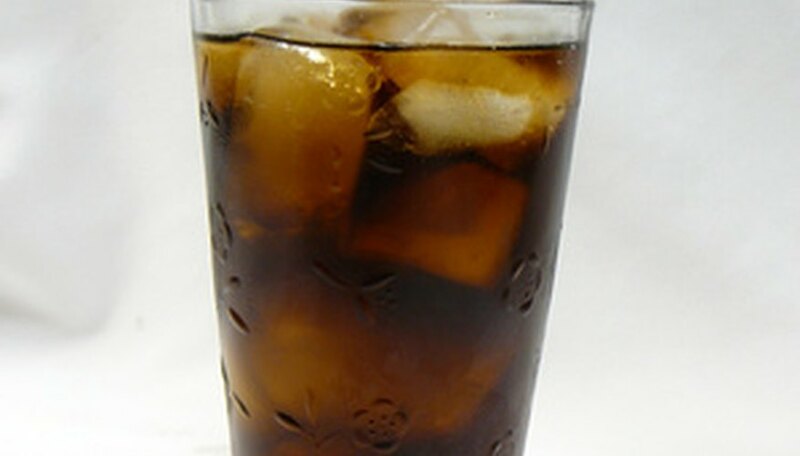 Remove the filters and limestone from the cups of soda and allow them to lie on a flat surface, in a safe area, to dry for an additional 24 hours. Once the limestone has dried, measure the weight of the limestone using the same scale that you used in the initial measurements. Subtract the final weight of the limestone soaked in each beverage from the initial weight of the limestone placed in each cup. Draw conclusions from the experiment. The loss of limestone weight represents the loss of tooth enamel when humans consume soda. Develop ideas about whether the pH of the beverage affects tooth enamel loss and what sodas seem to cause the most and least damage. Develop a presentation board that shows the steps of your experiment and conclusions regarding the effects of soda on human teeth. Follow the guidelines required by your instructor to complete the science fair project assignment. All Science Fair Projects; "Elizabeth's Science Project, 7th Grade"
Lyda, Natalie. "Science Fair Project on the Effect of Soda on the Body." Sciencing, https://sciencing.com/science-project-effect-soda-body-7899248.html. 24 April 2017.